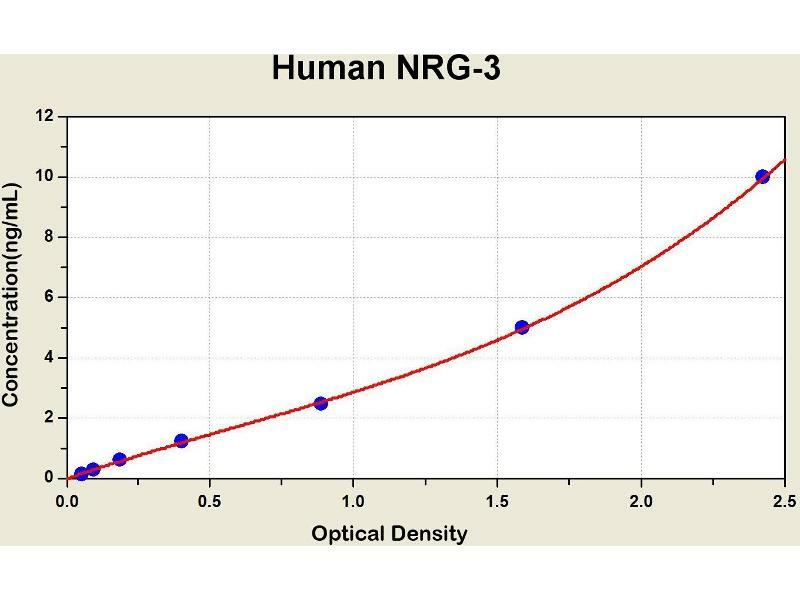 Diagramm of the ELISA kit to detect Human NRG-3with the optical density on the x-axis and the concentration on the y-axis. This gene is a member of the neuregulin gene family. This gene family encodes ligands for the transmembrane tyrosine kinase receptors ERBB3 and ERBB4 - members of the epidermal growth factor receptor family. Ligand binding activates intracellular signaling cascades and the induction of cellular responses including proliferation, migration, differentiation, and survival or apoptosis. This gene encodes neuregulin 3 (NRG3). 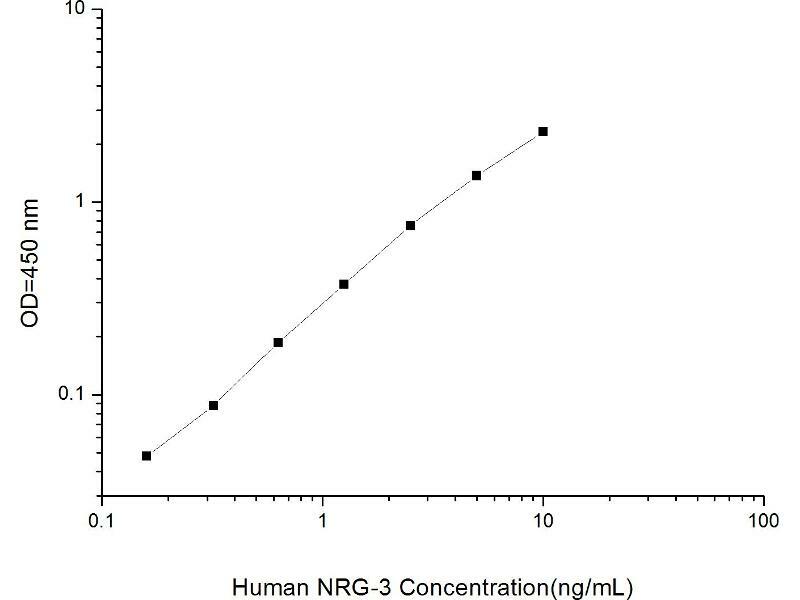 NRG3 has been shown to activate the tyrosine phosphorylation of its cognate receptor, ERBB4, and is thought to influence neuroblast proliferation, migration and differentiation by signalling through ERBB4. NRG3 also promotes mammary differentiation during embryogenesis. Linkage studies have implicated this gene as a susceptibility locus for schizophrenia and schizoaffective disorder. Alternative splicing results in multiple transcript variants encoding distinct isoforms. Additional transcript variants have been described but their biological validity has not been verified.